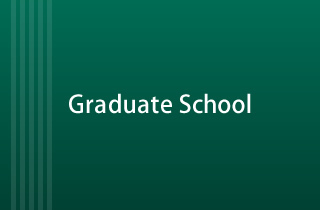 The Graduate School of Human Studies consists of two majors comprising the Master of Psychology (Psychology Course and Clinical Psychology Course) and the Master of Human Studies (Child Education Course and Social Work Course). The Psychology Course examines the human mind and how it works amid social change and provides students with the opportunity to learn about the mechanisms of the mind from many angles. Collaborating with clinical psychology researchers, the course focuses on investigational research and fundamental experimentation on the human mind and behavior. The Clinical Psychology Course fosters an understanding of the conditions of persons suffering from mental distress or anxieties. The course focuses on clinical assistance and prevention related to the psychological health of persons ranging from children to the elderly to help promote mental health recovery, provide treatment and prevent psychological and behavioral disorders. The Child Education Course provides students with basic knowledge using various types of literature and field trips as well as practical learning at a kindergarten and the Childcare Practice and Research Center situated within the University. The course aims to develop professionals with broad perspectives who not only engage in child care but also support child rearing and development together with local communities. In the Social Work Course, students learn about theories and techniques and acquire specialized knowledge in social work. The course focuses on studies concerning the welfare of families, persons with disabilities and senior citizens to develop human resources capable of appropriately providing information about systems and services based on their knowledge of local and national systems and policies.